Do you want a job in cyber security but don’t know how to break into the industry? Tired of seeing “junior” positions that require years of industry experience? Each year we run an “Accelerator Scheme” which is designed for career changers, graduates and plenty more besides, who wish to get a head start in the cyber security industry. After months of intensive bespoke training, you’ll start to get involved in delivery and be on your way towards a long and fruitful career with Nettitude. This is a full time office based role which demands a lot from only the best, brightest and most motivated. It is designed with offensive security in mind, although watch this space for a new Blue Team scheme that we’re working on! You can download our Accelerator Scheme brochure to find out more about the schemes content. Please note: this scheme is currently run in the UK only. You must be eligible to work full time in the UK. It’s for graduates, career changers and anyone else who is looking to enter the offensive side of the cyber security industry. No professional penetration testing experience required! We select individuals based on a number of data points that favour strong aptitude and a credible interest in the industry. have completed a degree, course or certification in something cyber security related. …and many other examples of credible interest! 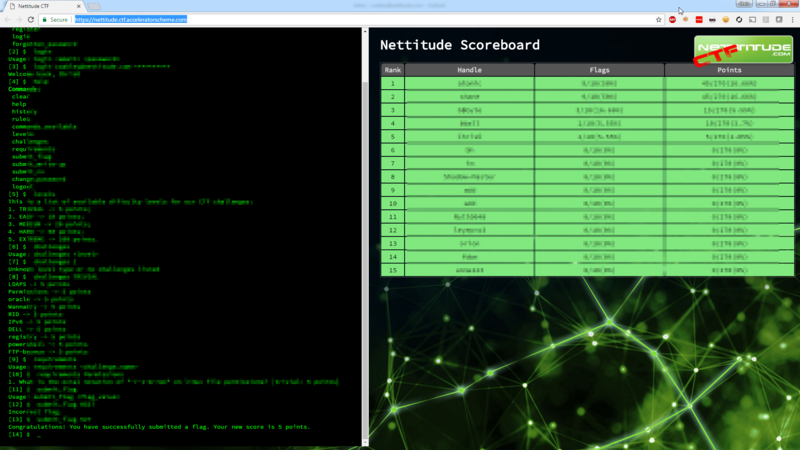 Welcome to Nettitude’s Accelerator Scheme Capture the Flag Challenge! 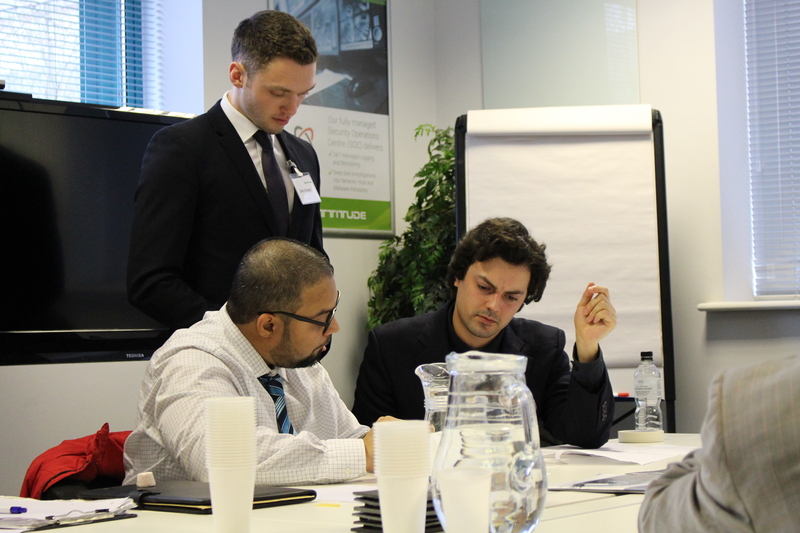 To register your interest in the 2019 Nettitude Accelerator Scheme and to showcase your problem solving and hacking skills, we have put together a series of theoretical and practical challenges. You must read and abide by the rules of engagement and dive in. For all flags corresponding to VM based challenges, you need to submit a write-up as well. This write-up will be a text file containing a brief description of how you managed to get the flag. Non VM-based challenges do not require a write-up. You can submit a write-up even if you didn’t get the flag; we appreciate the thought process, not only arriving to the destination and getting the flag. Whilst we encourage people to put their wits against all the challenges we have on offer, completion of all is not required to be considered for the programme. We will be reviewing candidates’ submissions weekly and will contact those who are successful via e-mail to invite them in for one of our recruitment assessments. All rules are specified on our CTF system; you must read and abide by them. The labs.nettitude.com website and all associated infrastructure (e.g. CTF registration server, etc) are strictly out of scope. The system clearly states what is in scope.